If Democrat Mark Begich is elected Alaska’s governor, he’ll wield veto power over dozens of bills each year, just like his predecessors. A major difference from those predecessors, though, are his relationships with the special interests that will be pushing him to sign or reject each bill. In some cases, they could be his former paying customers. For nearly four years, Begich has owned a public affairs and consulting firm, Northern Compass Group, that’s worked with clients that intersect with both state and federal government. If elected, he’ll likely be faced with decisions that will directly affect the businesses, unions and Native organizations that have been paying his business for advice. That means Begich should be careful about possible conflicts, according to Anchorage independent Rep. Jason Grenn, who helped lead a successful push for legislative ethics reforms this year. 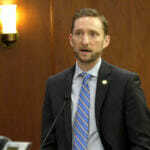 “And he should be sensitive to that, and take the steps needed to show these aren’t going to inject themselves into his best vision for Alaska,” Grenn added. Alaska politicians often emerge from the worlds of public policy and business, and Begich is far from the first with potential for conflicts. The current governor, Bill Walker, owned a law firm that worked for the city of Valdez, the Kenai Peninsula Borough and the Alaska Gasline Port Authority — a municipal group pushing the construction of a natural gas pipeline from the North Slope to Valdez. Walker sold his law firm after being elected, but his critics still cited his past relationship with the authority because its gasline plans conflicted with a state-sponsored project to build the pipeline on a different route. And after the 1990 election of Wally Hickel, a businessman with holdings worth more than $80 million, he pledged to put his interests in a gasline company, Yukon Pacific Corp., into a blind trust. Begich’s work is significant, though, because of the number of clients he’s had, as well as the recentness of his work, Grenn said. 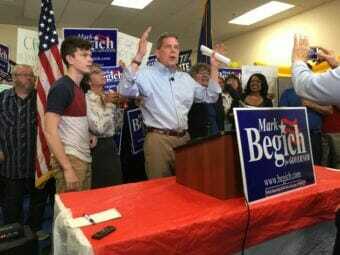 Several of Begich’s clients, or their employees, have also spent thousands of dollars on political efforts and groups that are trying to get him elected. One step Begich should take if elected governor is to recuse himself from official actions that would “directly and substantially” affect his company’s clients, said Craig Holman, an expert on campaign finance and governmental ethics at the Washington, D.C. watchdog group Public Citizen. “That would be one big step that we see flaunted over and over, here in Washington, D.C.,” Holman said. Begich’s campaign manager, Nora Morse, would not make him available for an interview. “And as always, his office and the entire administration would be held to the highest ethical standards – following all laws and state regulations,” Morse wrote. The future of Northern Compass Group, and of Begich’s ownership stake, will be determined after the election, she said. Begich created Northern Compass Group in 2015, less than three months after losing his re-election bid to Republican Dan Sullivan. The company’s website shows five employees working with Begich, several of whom worked in his U.S. Senate office; state corporate filings list Begich as Northern Compass Group’s sole owner. While state law requires Begich to list his clients on his financial disclosure, and say roughly how much they paid Northern Compass Group, he does not have to describe the work his company did for each one. Northern Compass Group’s largest source of revenue last year — at least $200,000 — was a Washington, D.C. law and lobbying firm called Brownstein Hyatt Farber Schreck, where Begich was hired as an adviser in 2015. Brownstein has dozens of accounts, from Walgreens to Amazon to MGM Resorts. Brownstein, when Begich was hired, said he would work on energy issues and the intersection between business and government. But neither Begich’s campaign nor Brownstein would identify the specific clients Begich has worked with. Morse described Begich’s work for Brownstein generally as “internal communication and organization,” “bridging the bipartisan team” within the company and “public relations and outreach.” He helped launch and moderate an issue-based podcast series, as well as panels with bipartisan speakers on current events, she said. What Northern Compass Group did for clients in Alaska last year is a little more clear. The company researched Alaska renters insurance law for Weidner Apartment Homes, which has more than 5,000 units in the state, said Weidner spokesman Greg Cerbana. Northern Compass Group worked for Chugach Electric Association on the Anchorage co-op’s proposed merger with a municipal utility, though a spokeswoman, Julie Hasquet — a former Begich press secretary — refused to provide details or documentation. Grant Aviation, a regional Alaska airline, hired Northern Compass Group to solicit feedback from the communities where the airline works, Grant officials said in a 2015 news report. And Northern Compass Group has also advised Planned Parenthood in its fights with Congress and the Trump administration, spokesman Andrew Everett said. While Begich wouldn’t talk about the specifics of his consulting work, he did describe it generally in an interview earlier this year. The same issues and entities that Begich’s company has worked with are almost certain to come before state government in the next few years. Eight of Northern Compass Group’s 17 clients pay lobbyists to work with Alaska’s executive branch, which Begich will oversee if he’s elected. Those clients also lobby on specific bills that could come to the governor’s desk. 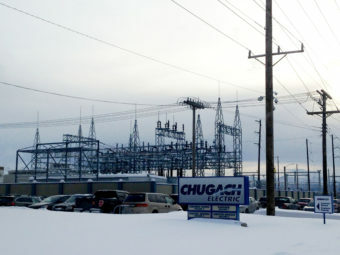 This year, for example, Chugach Electric Association lobbied against legislation to create an independent entity aimed at cutting consumers’ costs by better coordinating power generation among Alaska’s interconnected utilities, according to one of Chugach’s lobbying reports. The utilities said the legislation was unnecessary and that they were already working toward the same goal. But that’s a mischaracterization, according to the specific definition of lobbying under federal law. Begich was barred from lobbying his former Congressional colleagues for two years after he left office. The ban is designed to stop representatives and senators from profiting from the connections they made while in public service, and to prevent them from doing favors for possible future employers while they’re still in office. After the two-year cooling-off period, if Begich wanted to try to directly influence members of Congress on legislation, he would have had to formally register as a lobbyist. He didn’t. What Begich did do, in some cases, was give advice to other people who were lobbying and trying to influence Congress. That’s become a common practice for former government officials. And good government groups are critical of the practice, saying it’s not much different than lobbying. But Begich’s supporters disagree. 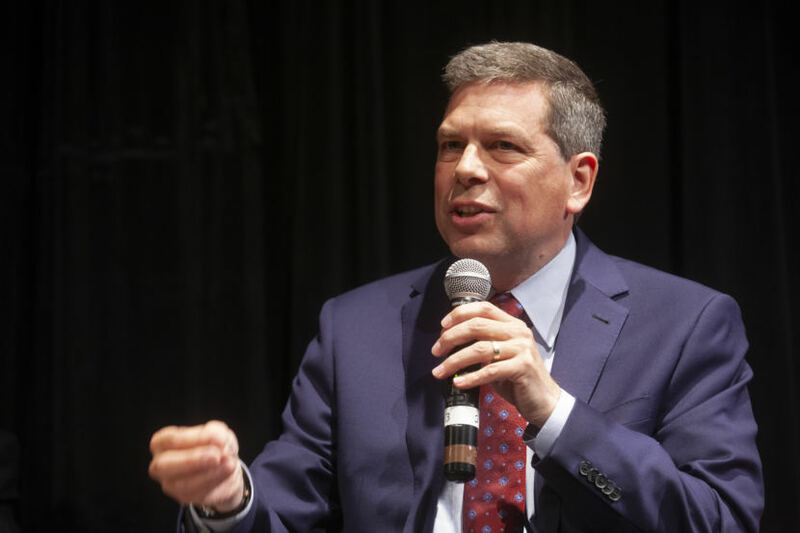 One of them, Anchorage tribal lawyer and lobbyist Lloyd Miller, said there’s a big distinction between Begich’s work and what a registered lobbyist does. It’s one thing to advise lobbyists on how to best approach members of Congress, and another completely to pick up the phone and make those calls yourself, Miller said in an interview. Miller’s firm paid Northern Compass Group at least $20,000 last year, according to Begich’s financial disclosure. Miller said Begich gave advice about the most effective arguments to use to convince individual senators of the benefits of legislation Miller was pushing. But Miller said he still had to make those arguments to senators and staffers himself, which was harder than having Begich do it for him. —Andrew Kitchenman contributed to this story.